1958 Chevrolet Impala in Lebanon, NJ for sale. Price Analysis: Poor Deal, 29.0 % above market avg. What's this? Chevy Impala Convertible . 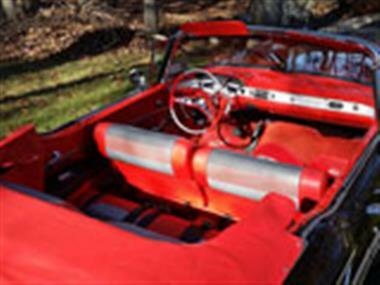 Outstanding example of a well maintained luxury 2 door convertible. Car sports the massive 348 engine and more importantly the 280hp version with 3-2 barrel carburetors. 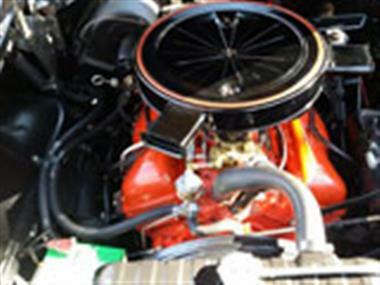 Original engine, exterior color of Onyx Black, contrasting tri color red/grey/black interior, black convertible top. Wide whites, full spinner wheel covers. rear fender skirts, perfect parade car or for that matter any special occasion.<br><br>This particular model has manual windows, automatic transmissions,dual exhaust, Power Steering, Power Roof,detailed under carriage and frame, bright trim, exceptionally clear glass with all gauges, lights and components operating properly.<br><br>International Vehicle Appraisal Network IVAN report completed July 2016. Price Analysis for 1958 Chevrolet Impala. 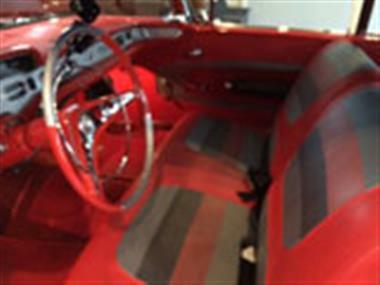 This vehicle is priced $26,502 more than the Average Market Price of $63,497 for a 1958 Chevrolet Impala. This is a Poor Deal as it's priced 29.0 % above market avg. The Pie chart below shows the number of ads within different price ranges.